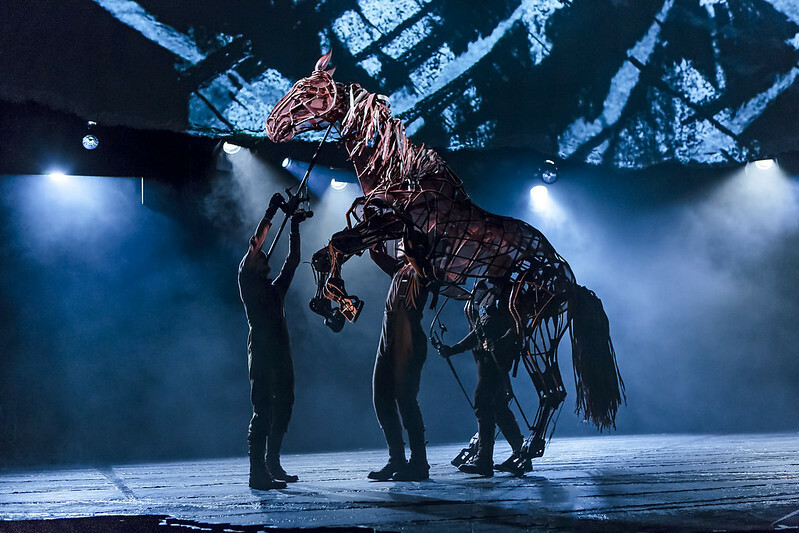 Behoove yourself to take an unbridled adventure with War Horse, the latest show at The Aronoff presented by Broadway in Cincinnati. It's like the Old Yeller of theatre... but with a horse. 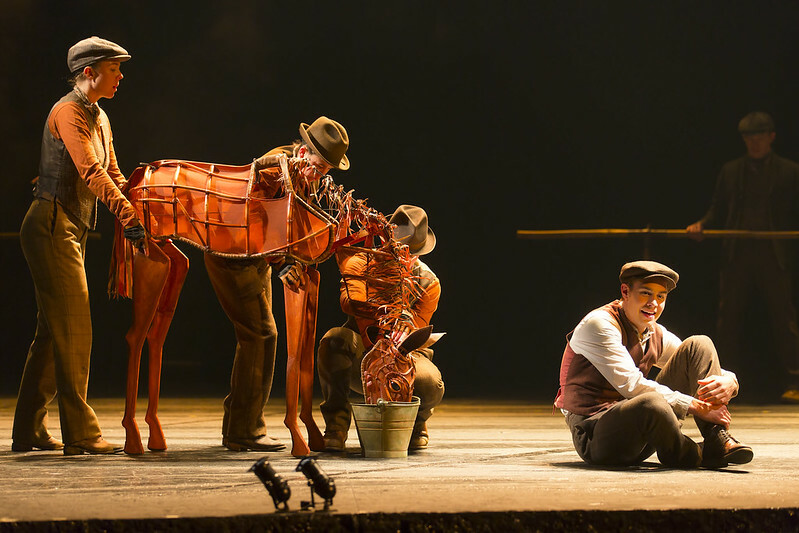 Known for its puppetry of a life-sized horse with mechanical parts moved by hand, the star of the show is Joey, a mixed-breed wild foal who befriends a young boy, Albert, after his father acquires him at an auction. I'll admit, I was a little weary of seeing a wire-framed skeleton shaped into a horse. At first glance, it seemed bewildering, but after five minutes of watching Joey, the graceful mechanics of the puppeteers made me believe I was watching a real, live horse. The mannerisms, breathing, hoof-stomping, neighing, and gentle nuzzling were spot on. As Joey grows into an adult horse, Albert trains him and tames the wild foal to be his friend. When Albert's father hastily sells Joey to the British Army during World War I, Albert enlists to bring him home. While separated, both Albert and Joey go through the trials of war which are depicted with a raw passion throughout the play. One thing that makes War Horse different from most Broadway shows is its minimalist set, which consists of some minor props and backdrops. Scenes change through strategic positioning of actors and the projected sketches show on a backdrop above the stage. This was also the first Broadway I've seen which didn't focus on singing. An occasional folk song was sung a capella accompanied by an accordion. 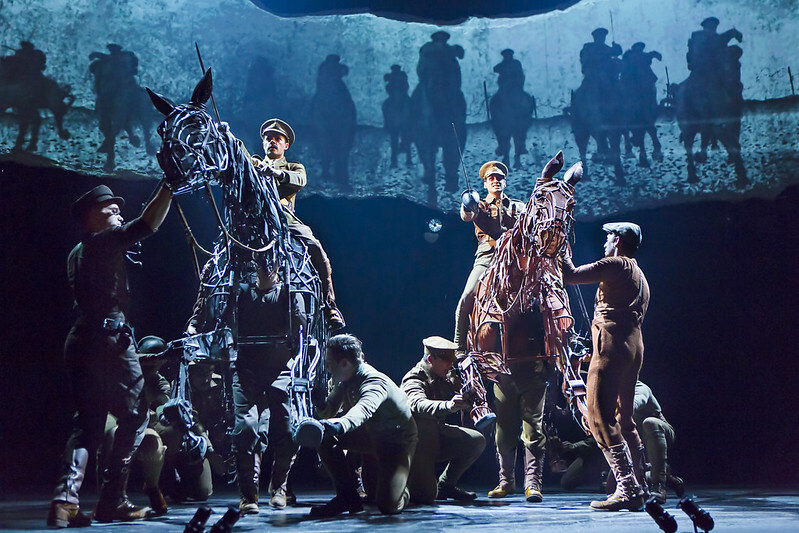 Though it's not a traditional Broadway show, War Horse is a strong contender among some of the best theatre I've watched. The most breathtaking moments were the army enlistment scene at the start of World War I, as well as some of the battles and the innovative portrayal of the casualties in the field. I also did not expect to see multiple life-sized horse puppets in the play: four horses in addition to Joey make their way onto stage throughout the show. And yes, the more horses, the more incredible the scenes progress! I tend to be a fan of the "small detail" characters, like the dog in Peter Pan. 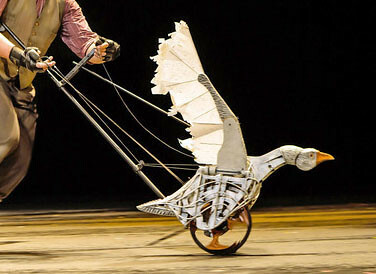 For War Horse, I was delighted whenever the goose puppeteer made appearances on stage, usually as the comic relief on the farm. 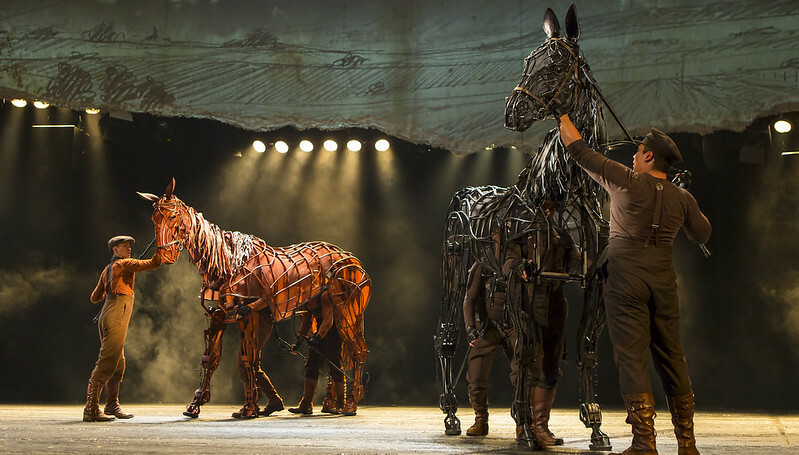 War Horse is a visually imaginative masterpiece that will tug at your heartstrings and leave you shedding tears for a boy and his horse. This is also a great play to share with a theatre-hesitant man who has yet to experience Broadway. It will entertain him with heavy action and wartime stories, and weave him into the solemn songs and intricate plot. 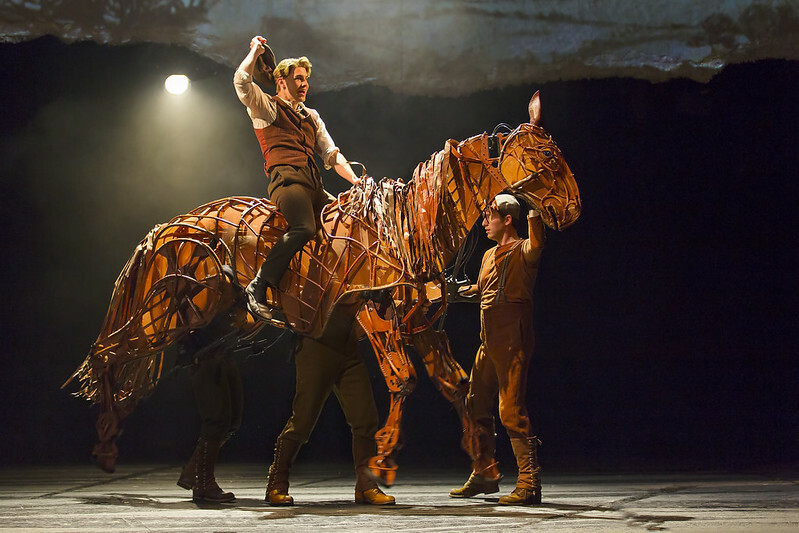 War Horse runs at The Aronoff from March 26 – April 7, 2013. Tuesday- Friday at 8:00PM, Saturday at 2:00PM and 8:00PM, and Sunday at 1:00PM and 6:30PM.